To watch fish frolicking inside an aquarium is supposed to be soothing and hypnotic. 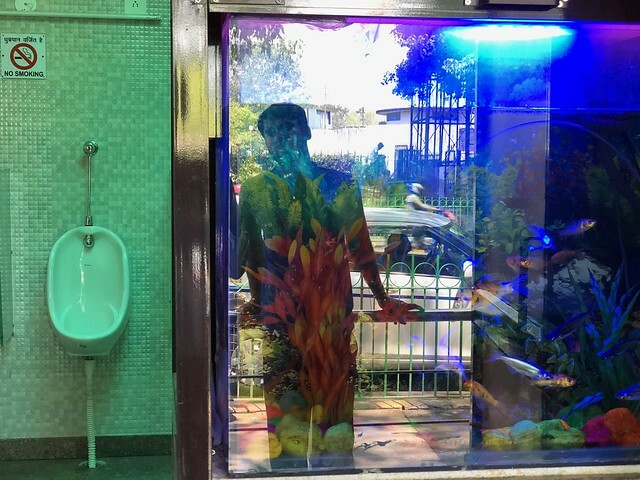 May be that’s why quite a few hotels in the touristy district of Paharganj have bedside aquariums in their guest rooms. But fish inside the toilet? This innovative idea finds its place in a public restroom outside Jeevan Bharati building in Connaught Place. 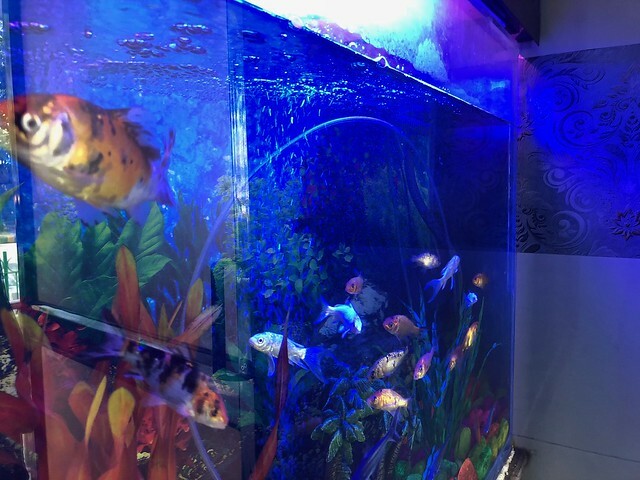 The aquarium is just inside the loo’s main door and is the first sight to greet a person who, perhaps, might be occupied in more urgent pursuits. The aquarium has small fish in red, white and silver colours. The one with a golden shade is the biggest. “We have 15 fish here,” says the restroom attendant who requested not to publish his name. 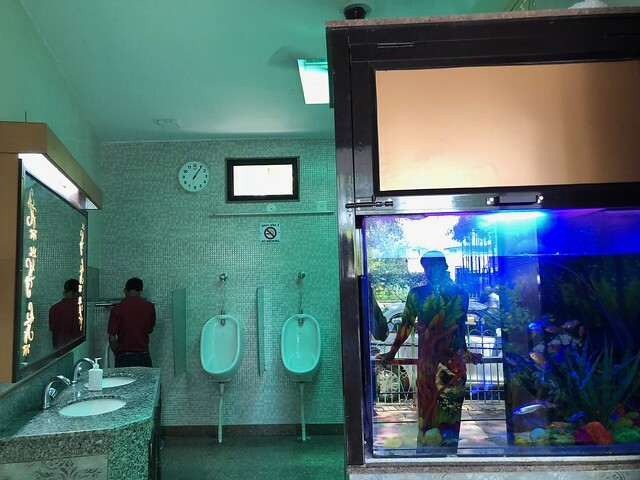 Though the urinal has existed on this same spot for a number of years “it was recently renovated and re-opened just last week,” the attendant reveals. The refurbished restroom also has a clock ticking on the wall. A framed note says that similar new “free for users” washrooms have been opened up by New Delhi Municipal Council in 200 places. “But not all have the fish,” adds the attendant. 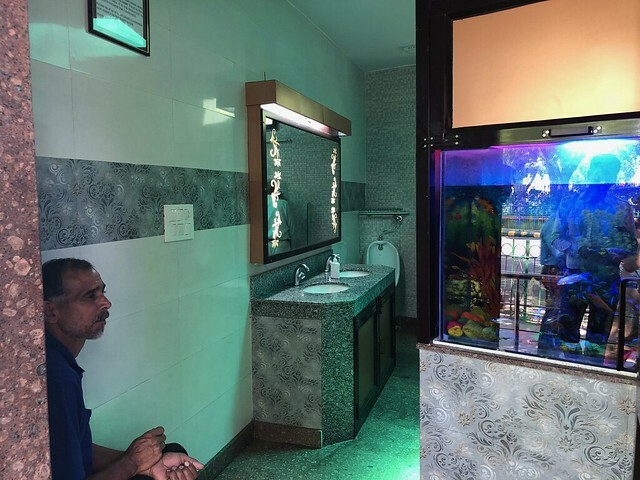 Since this is the gents’ toilet, we ask him if the woman’s section too has a similar aquarium. The attendant shakes his head. Meanwhile, a gentleman is about to step out when his eyes fall on the aquarium. He gazes at the fish for a few moments, his head shaking in apparent awe. 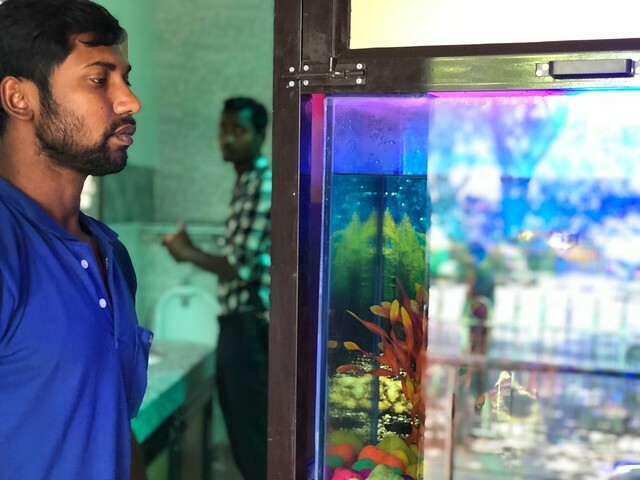 The fish food is supplied by the NDMC, the attendant says, adding that the water inside the tank is to be changed once a month. On a passing note, the aquarium is positioned beside the door in such a way that anybody can easily observe the water tank from outside. So there’s only one way to see it.